“Old” Shimano Tiagra 4600 was due an overhaul: it was the oldest groupset in Shimano’s stable and was beginning to show its age both in appearance and performance relative to Shimano’s higher end groupsets. The new Shimano Tiagra 4700 looks much more like its bigger brothers – Shimano Dura-Ace, Shimano Ultegra and Shimano 105 – and its performance is much more on a par with them too, although unlike 105 which stepped up to eleven speed in its latest 5800 guise, Tiagra remains ten speed. Although this isn’t obvious in photos, all the components are anodised a rather attractive steel blue. The 4700 chainset adopts Shimano’s newer four-arm design. 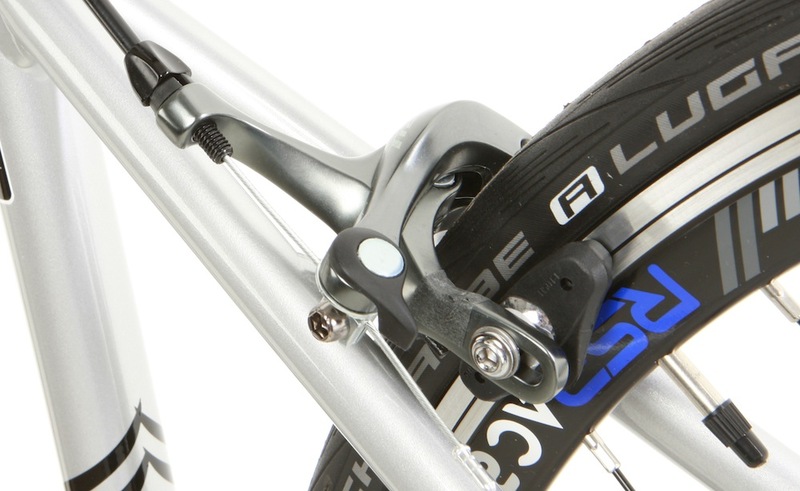 It’s available in double or triple with four crank lengths between 165 and 175mm. The double is available as either 50/34 tooth compact or 52/36 semi-compact while the triple comes with 50/39/30 tooth rings. As with Shimano’s other groupsets, there’s a long cage and a short cage version of the rear mech. The short cage mech will handle cassettes with a largest sprocket of 28 teeth. Go for the longer cage and the range expands to 34 teeth for the double, 32 for the triple – again in line with higher end groupsets and competitors’ offerings and also offering a much more sportive-friendly lowest ratio. The front mech is available for double or triple chainrings, the latter having a different cage design. The look is again much like Shimano’s higher end groupsets and the lever arm length has been increased to provide greater leverage when shifting and a lighter lever feel. Aside from the chainset, the new shifters are the most visible change from the previous Tiagra groupsets. The gear indicator windows have been lost and the size and shape are much like 105. 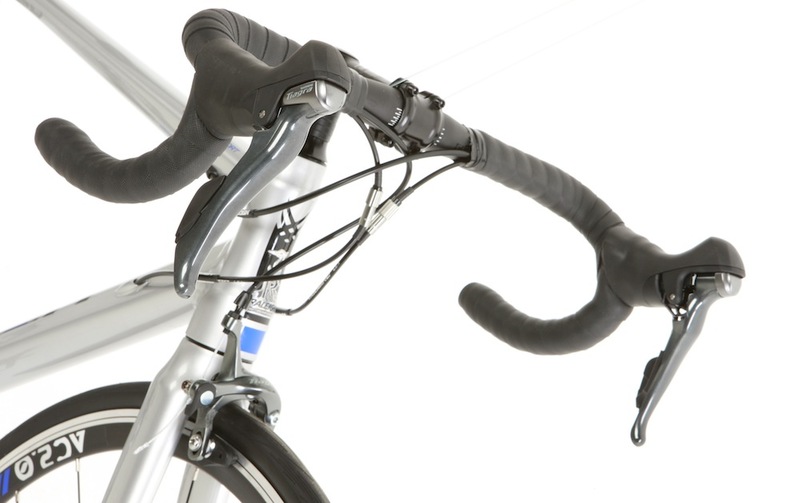 Whereas gear cables used to come out of the side of the shifter body and arc externally to the frame, the 4700 shifter cables are routed under the bar tape. The levers’ internals are much like those in 11-speed 105: the cables come straight out of the back of the levers into the cable outers rather than following the crazy routing of the previous 10-speed 105 where the cable executed a series of 90° turns within the lever body, which impacted performance and promoted wear. The hoods are comfortable to perch on and the levers to use, and there’s a solid feel to the shifting and braking. There’s also a built-in lever reach adjustment screw. A Rapidfire lever set is also available for use on flat bars; this retains the gear indicator window. 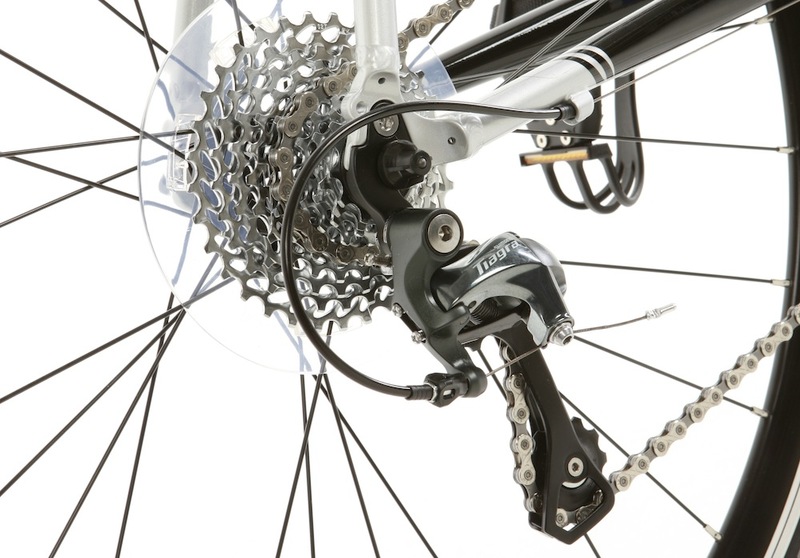 Shimano Tiagra 4700 offers four cassette options with ranges available from 11-25 to 11-34 teeth. In combination with the compact chainset, the latter should provide plenty of range to tackle up and downhills. Again, the brakes show a family resemblance to Shimano’s higher priced groupsets and this is reflected in their performance. The dual pivots provide light, comfortable performance and Shimano claims a significant increase in modulation. The shoes have adjustable toe-on, although they are one piece, so you have to replace the whole unit rather than being able to swap out the pads once they’re worn.